Recently, my husband and I were able to get away for a few days to Cabo San Lucas, Mexico. 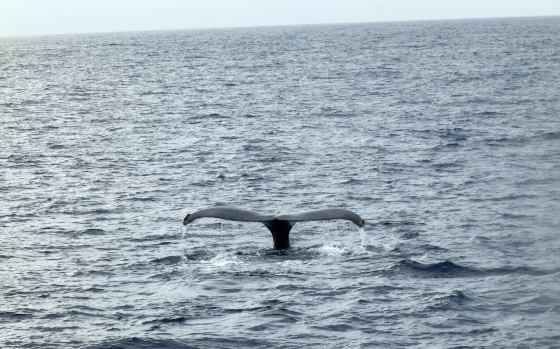 My favorite part of our trip was watching the humpback whales. They have their babies in the waters off Cabo and then migrate back to Alaska for the summer months. We saw many whales, from the balcony of our room, and on a couple of boat trips we took. They would flip their flippers and their tails often; on more than a few occasions they would jump clear out of the water. “Joy! They jump for pure joy!” he responded. 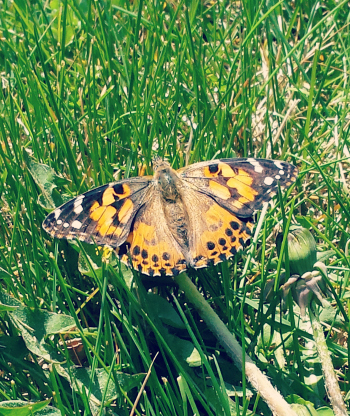 I think of joy, like a butterfly, flitting about in warm sunshine. Effortlessly. September is joy for me. New pencils. New books. A fresh slate, ready to write on. Watching a 40-ton animal leap for joy made me rethink what joy might look like. 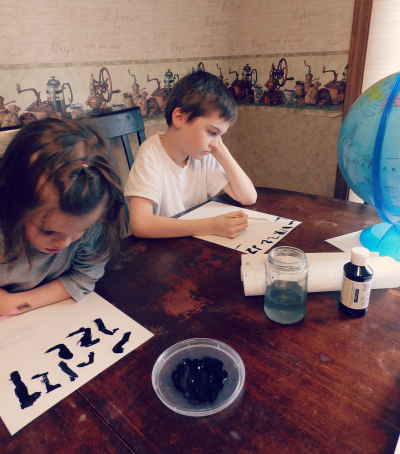 Sometimes it takes effort to keep the joy in your homeschooling. Head outside and have school in the backyard or a nearby park. My fondest spring school memories are of heading outside for school on a blanket. For a child, there is something magical about being outside, and particularly, doing something out there that is not part of your routine. Mix up routine learning with a field trip, play date, or, if possible, an overnight trip. If you can connect it to a particular subject, great! But sometimes you just need a break. Eliminate busy-work. I have a religious commitment to finishing every subject by the end of the year. But sometimes, I need to think through strengths and weaknesses and let go of any fluff I’m hanging on to. If my students are thriving in math, spelling or reading, it is fine to make them do half the problems or skip a few pages. And maybe, it is ok to not always finish the book. If you are running on empty, consider running school four days instead of five until you finish. At the very least, make Fridays a fun day with less school work. Homeschooling without joy is a dangerous enterprise. As a second-generation homeschooler, I could tell you stories of those I watched who neglected the path of joy and the rejection those parents faced from children who went off the rails and rejected everything they were working so hard to instill. We were made for joy! We were made to dance. At the end of the day, I want my children to walk into adulthood feeling loved and that their time homeschooling was a time where they learned the most important things in a setting of love and genuine goodness. If they get that, they will become lifelong learners and my job will have been done well. They will have a positive relationship with me, even when we disagree. My new picture of joy isn’t a butterfly, but whale-like girth continuing to head toward the stars. 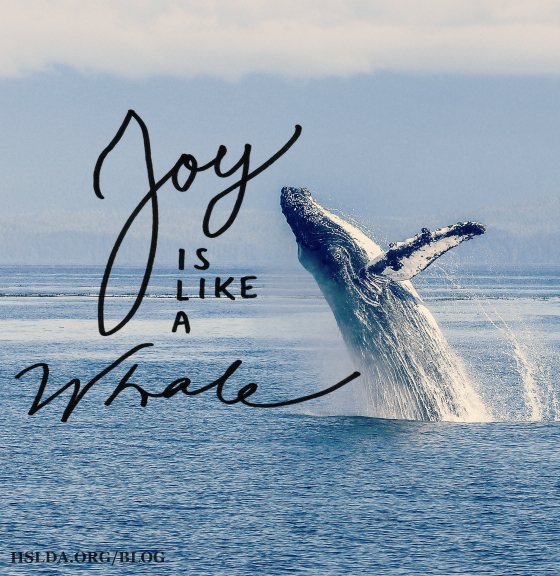 So even in May, when joy feels like jumping when you weigh 40 tons, keep leaping! If you end the year with good memories, beginning the next school year in a few months will be even better. Photo Credit: First photo from Pixabay, graphic design by Charity Klicka; second, third, and fourth photos taken by Rachelle Reitz, edited by Charity Klicka.